When it comes to ‘selling’ safety and gaining ‘buy in’, it is often the shop floor workers who may be resistant. The seasoned workers who don’t like change, the newbies who think they know best, the pessimist who thinks safety is nothing more than a box ticking exercise and the risk-takers who don’t see the dangers. However, an altogether different situation can arise. One where your boss has delegated health and safety duties to you and you are trying to implement an effective safety management system but without any real support at director level. A ‘sloping shoulders’ style of management in which Health and Safety is delegated and therefore no longer considered a responsibility for top level management. A delegation of duty without the necessary budget or commitment. 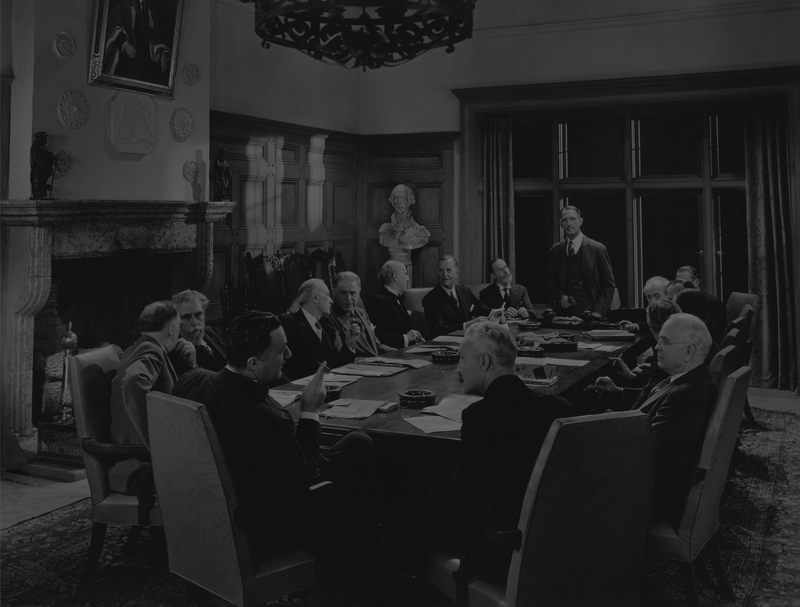 It is important for the board of directors to remember that, although health and safety functions can (and should) be delegated, legal responsibility for ensuring the health and safety of workers and for reducing risks to others affected by work activities (including members of the public) rests on employers (sections 2 and 3 of the Health and Safety at Work etc Act 1974). Strong leadership from the top down is vital in delivering effective health and safety risk control. Everyone should know - and believe - that company directors are committed to continuous improvement in health and safety performance. Your Health and Safety Policy statement, detailing your company arrangements for health and safety should be visible to staff and board level actions should reinforce this statement. Health and safety is everyone’s business. A positive safety culture requirements involvement and support at all levels. The best form of participation is a partnership for prevention, where workers and their representatives are involved in identifying and tackling potential or actual problems and top level management take their concerns seriously and act upon them. New work practices - what are the new risks and are managers and supervisors competent to induct workers in the new practices? New people - do they need health and safety training and are they sufficiently competent to do the job safely? New materials - are they toxic, do they pose new risks and how will any new risks be controlled? Too often organisations find that they have to remedy health and safety problems that could have been dealt with more easily and cheaply when the initial investment decisions were made. Looking at the bigger picture, doing business with organisations that do not themselves deliver effective health and safety risk management may seriously damage both your corporate reputation and the effective and timely delivery of contracted goods or services. Purchasing decisions at board level should consider health and safety. Furthermore, directors have a responsibility for the health and safety of contractors working on their site when work is contracted out. Similarly, to ensure staff or customers are not endangered by work conducted by contractors on site. On the 1st February 2016, new sentencing guidelines were brought into force revolutionising the way health and safety offences are prosecuted, and the level of subsequent fines. These were designed to deter business from merely paying lip service to health and safety law (including delegating duties but not taking that delegation seriously). Intended to impose much harsher penalties than previously, offending businesses are now much more likely to be receive substantial fines, imprisonment of an individual, or insolvency of a business. The total sum collected in fines from 1st February 2016 to 31st January 2017 was an enormous £22,781,021.23 with an average fine standing at £157,110.49. In the comparable previous year (1st February 2015 to 31st January 2016), the total sum collected in fines was £11,421,755.56. These figures reveal that the total sum collected has doubled when compared to the previous year - making compelling evidence to present to a despondent boss! With the ‘new’ guidelines in place, this brings into sharp focus, the requirement to properly manage health and safety and compliance in the workplace and ensure that your business does not fall short of health and safety laws. encouraging better relationships with contractors and more effective contracted activities. minimising the likelihood of prosecution and consequent penalties. The legal responsibility your boss holds in addition to the staggering fines that are now being awarded to offending businesses should be reason alone to convince your boss of the importance of engaging in health and safety. Failure to engage in safety leaves the business vulnerable to reputational damage. Companies are defined by their reputations. It can take years to build your brand and only minutes for it to come crashing down. Board level directors need to provide adequate resources for the effective delegation of health and safety duties, whether that be through funding health and safety training for the person tasked with day to day safety management or adequate resources to fund workplace risk reduction measures. In addition to providing these resources, the board level directors should allocate time to discuss safety matters and involve themselves in active site walks to show commitment, encouraging the workforce to engage to drive forward an improved safety culture across the whole business.